The finish effect, with the beam now visible! A few weeks back, Aaron built finish frames to go around the clerestory windows. He plastered the open drywall first and then put up the frames. Then Drew was finally able to take down the plastic drape that has covered up our beautiful redwood beam for almost a year. What an unveiling! 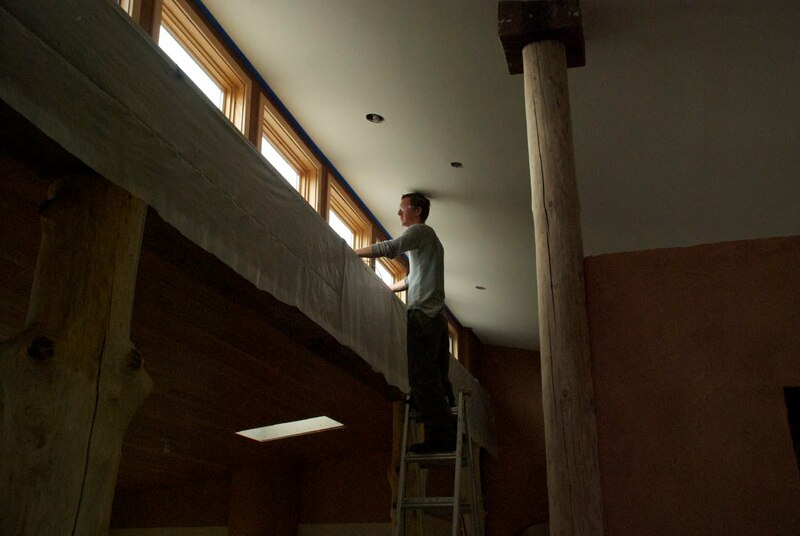 Then Drew completed the final step, which was to install the low-wattage LED rope light along the whole clerestory, which provides a very low energy ambient light for moving about the house at night after dark. 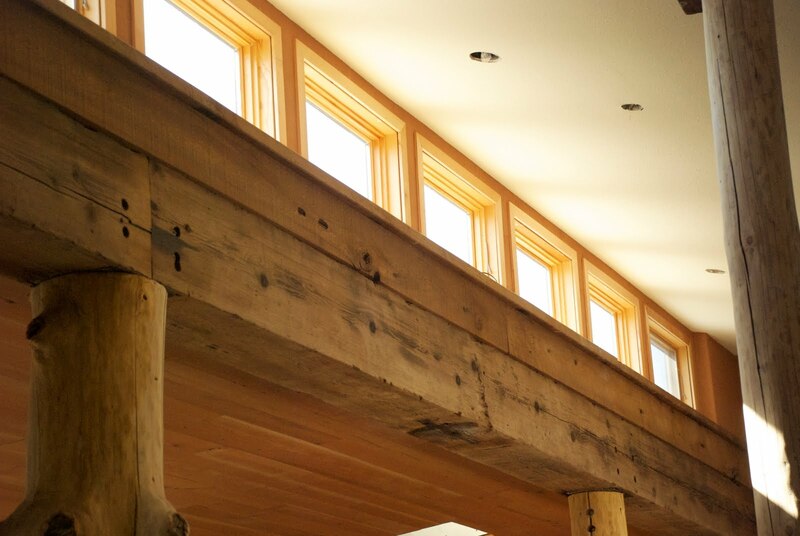 It's a small thing, but it's so fun to see parts of the house we've designed a long time ago come into fruition.